David does not charge for his lectures to conservation or educational groups but does require travel cost reimbursement and readily accepts an honorarium to the Hancock Wildlife Foundation for more CAM or eagle research. David’s favorite power point presentations are on the “Success and Challenges for Bald Eagles”, various conservation issues or the role of Live Wildlife CAMs in Science and Education. 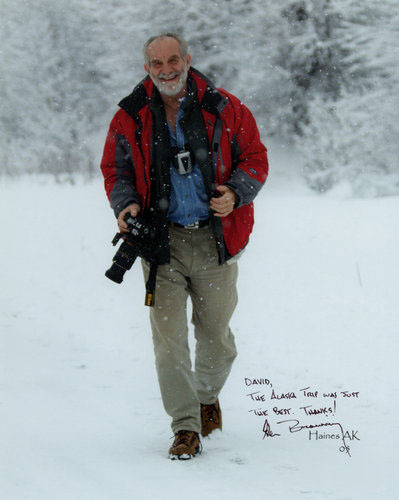 As a publisher/writer/photographer for over 40 years he is also called upon to lecture on the publishing industry, getting published, non-fiction writing, and photojournalism.